I see Obama not as a hero but as a teacher, an academically-trained role model from whom other Democratic politicians — and the scholars like me who follow such things — can learn the nuts and bolts of transformational leadership. With that in mind, I’m on the lookout for any articles that provide an insight into the inner workings of Obama’s mind and leadership style. Jacob Weisberg’s article in the latest edition of Men’s Vogue is just chock full of it. So much good stuff to quote from here, but I’ll start with the most easily-definable trait of transformational leadership: 1) interest in being a transformational leader. Another building block — linked to the first — is 2) a desire to emulate other transformational leaders. “If you read Robert Caro’s biography of Lyndon JohnsonI’m not Johnson, but I’m fascinated by himthere’s a piece of him in me,” Obama says, leaning forward. “That kind of hungerdesperate to win, please, succeed, dominateI don’t know any politician who doesn’t have some of that reptilian side to him. But that’s not the dominant part of me. 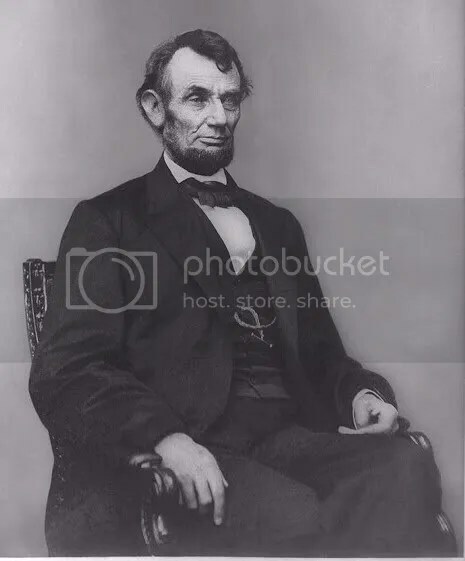 On the other hand, I don’t know that it was the dominant part of” his voice suddenly trails off as he motions behind him to a portrait of Lincoln, the self-invented lawyer, writer, and politician from Illinois. “This guy was pretty reflective,” he says, offering a sly smile. I offer you that kernel of myself that I have saved, somehowthe central heart that deals not in words, traffics not with dreams and is untouched by time, by joy, by adversities. 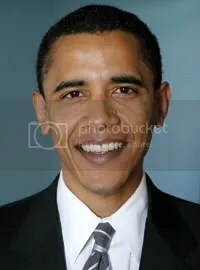 Of all of the assets that make Obama such an appealing figure to Democratshis reflective intellect, his departure from the familiar paths of racial politics, his good looks and easy mannerit is his writer’s voice that most distinguishes him as a political figure. Many of the nation’s greatest leadersAdams, Jefferson, Madison, and Lincolnwere of course men of letters as well as candidates and officeholders. But the demands of a modern political careerthe fund-raising, the constant travel, the need to respond to a 24-hour news cycleseem to preclude collecting one’s thoughts in such a polished and engaging way. The Senate, in particular, breeds the kind of pomposity and egotism that ruins thoughtful prose. Senators publish a lot of books, but most are memorabilia, not political literature. A few highbrow politiciansEugene McCarthy, Mario Cuomo, and Daniel Patrick Moynihanhave managed to write seriously. But much of this body of literature conveys the message that the writers, whose careers never went as far as their admirers thought they could, are too good for the dirty business of politics. Obama seems determined not to fall into either trapgrowing so infatuated with his own reflection that he can’t succeed as a leader, or charging ahead so hard that there’s no space left for his emotional and intellectual life. Obama says he wrote The Audacity of Hope on his own, as he does anything important, at his Washington apartment, late at night. “What I’ve had to do when I get home at eight or nine o’clock is start writing,” he says. For the most part, Obama appears to wear the burden of others’ dreams lightly. They hang loosely on his shoulders, like the dark suits that compliment his slender frame. But beneath his open, companionable exterior, one detects a certain brooding quality, a concern etched into the sharp lines of his face about whether he’s up to the tasks ahead. Eight points, eight lessons to be learned by the Democratic leadership of today. And Barack Obama, as his law students can attest, is an excellent teacher. This entry was posted on Saturday, October 6th, 2007 at 6:46 pm and is filed under Uncategorized. You can follow any responses to this entry through the RSS 2.0 feed. Responses are currently closed, but you can trackback from your own site.